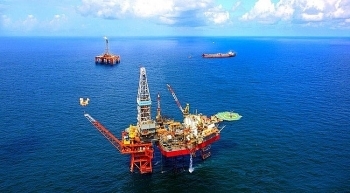 Vietnam’s PetroVietnam Exploration Production Corp., or PVEP, has signed an agreement to sell a 5 percent working interest in an oil block offshore Vietnam to U.S.-based Murphy Oil Corp., the Vietnamese company said. 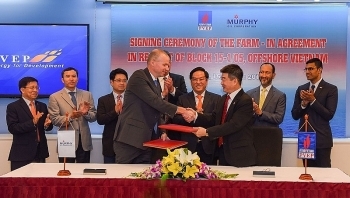 PVEP, a subsidiary of the national oil and gas group PVN, has signed an agreement to transfer 5% of its drilling and executive rights, at Block 15-1/05 off the coast of Vietnam, to the Murphy Oil Corporation. 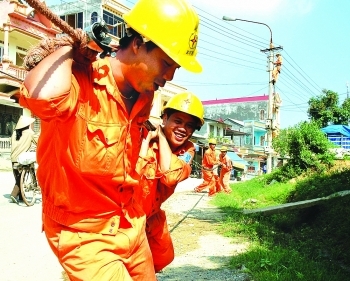 The Japan Bank for International Cooperation (JBIC) is considering funding the Block B&52/97 project of the Vietnam Oil and Gas Group (PetroVietnam) using loans without a government guarantee. 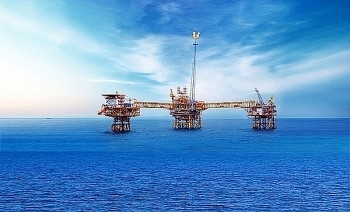 (VEN) - Vietnam Petroleum Institute (VPI) recently supplied 85 tons of Al-Zn-In alloy sacrificial anodes to Vietsovpetro Joint Venture for implementation of the development project of Ca Tam field in Block 9-3/12, Cuu Long basin, offshore Vietnam’s continental shelf. 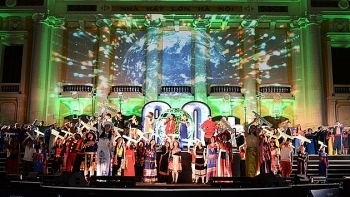 Localities across Vietnam switched off their lights for one hour on the evening of March 24 in response to the global Earth Hour campaign. 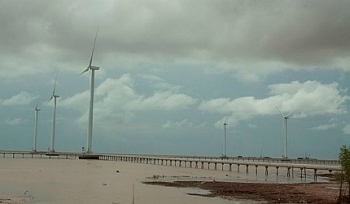 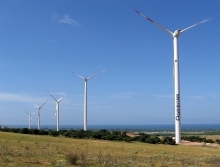 The Mekong Delta province of Bac Lieu, which boasts a 56km-long coastline and brisk wind, is an ideal destination for a wind power plant in Vietnam. 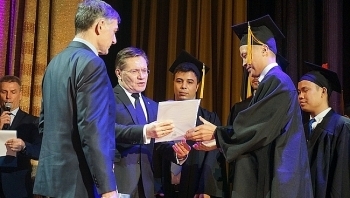 As many as 62 Vietnamese students were honoured with graduation certificates from the Obninsk Institute for Nuclear Power Engineering under the National Research Nuclear University on March 12 in the Russian city of Obninsk city. 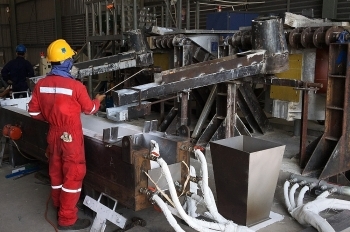 (VEN) - The Long Son Petrochemicals (LSP) complex in Ba Ria-Vung Tau Province officially began construction on February 24 after a 10-year delay. 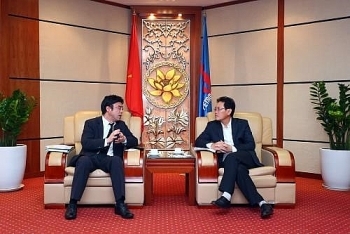 The US$5.4 billion project by the Long Son Petrochemicals Co., Ltd, a joint venture between Thailand’s SCG Group and the Vietnam National Oil and Gas Group (PetroVietnam), will cover almost 464 hectares of land and 194ha of water surface. 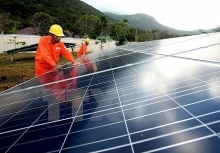 LSP is the third facility of its kind in Vietnam, after Dung Quat and Nghi Son oil refineries.